Orphek Atlantik V4 breaking one more record this week! Highest economic efficiency in the market (euro per watt)! We are very excited to share with you today exclusive information about our newest Atlantik V4! 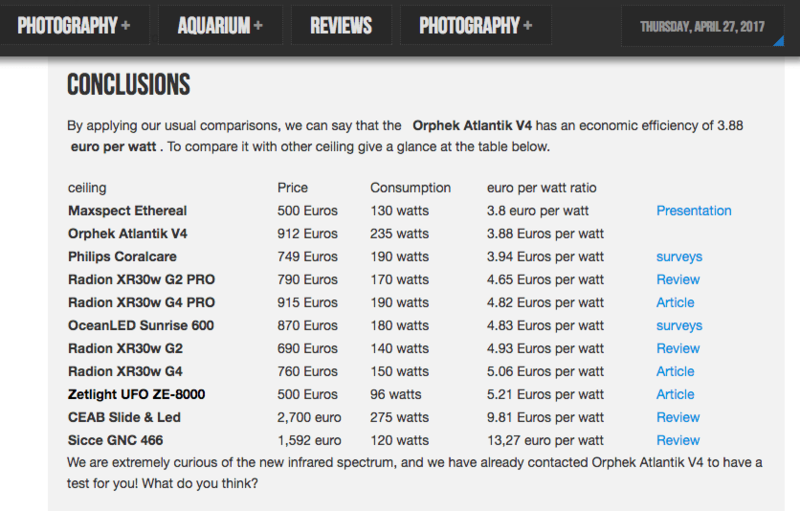 Italian blog danireef.com made a terrific job by calculating economic efficiency of our Atlantik V4 (euro per watt)! Not only that, it also compared our light to others available in LED lighting market. And guess what? The numbers don’t lie! So now you know exactly what your euro (dollar) is worth for!! (The article was written by Cristian Barucca, who has a degree in science and technology for the environment, majoring in environmental biology and has been writing to danireef.com since 2013 and has also he worked for Nanoreef). Why the New ATLANTIK V4 is the best product Orphek has produced today? 16 new types of custom made dual core LEDs in the nanometer range from 380nm to 850nm. Contains Full dimming capacity in all channels, 0-100% with progressive dimming. Gives the ability to control and program 200+ individual units! Lowest consumption Euro X watt. What else Orphek is offering you that others are not? A LED light that is made of full body acrylic. Our light is not only solid and durable, but also beautiful to display. A LED light that has a length of 24.21” (615mm), a width of 9.37” (238mm) and a height of 2.11” (53.6mm) . A LED light that comes not with any driver, but with Mean Well driver (model HLG-240H-48A) – we give you what the market has best to offer! A LED light that comes with a customized plug for your region. 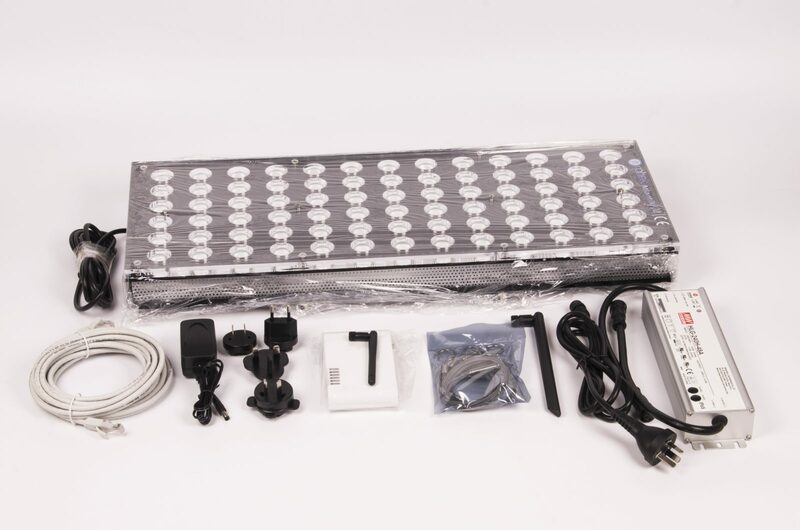 A LED light that comes with a hanging kit with no extra costs. Want to know more details about Atlantik V4? Just click on the link! Orphek is already taking Pre orders today! And we have now a PAYPAL BUTTON, so it is very easy to complete a purchase! We would like this opportunity to thank Danilo Ronchi and Cristian Barucca for sharing this amazing data with us and for all these years covering and reviewing of our products.